Chakra is a Sanskrit (ancient Hindu) word meaning wheel and they can be seen by clairvoyants as spinning wheels of light. There are seven major chakras along the spine with several minor ones, eg at the hands and feet. They are organizing centres for the reception, assimilation, and transmission of life energies, and are now used as a model for understanding human growth and development from gestation to adult maturity. They are also an effective way of reaching and then healing unconscious aspects of the human body and mind. The root chakra: located at the very bottom of the spine this is related to early gestation and the first months and years of life. How we experience early bonding gives us a basic felt sense of trust in our physical bodies and the material world. If there were difficulties we may find it a challenge to feel secure and grounded. We can help heal this through various ways of reconnecting with the physical body. The sacral chakra: located within the belly we connect with how we began to develop as a small child. During these first years we need the love and security of the adults around us. However, if those looking after us were not trustworthy (eg. they abused or neglected us in some way) we will have been wounded psychologically. We may have difficulties establishing appropriate boundaries or experiencing true pleasure. As adults we can work to heal this inner child so that we are able to trust others enough to form healthy intimate relationships. The solar plexus chakra: this is located at the diaphragm, just above the waist, and relates to our development as a school age child. If we felt we could trust the people around us – both at home and at school – then we will develop a good self esteem. This is essential for success in life later on. As adults we can continue to learn how to build a strong sense of individuality and regulate the powerful emotions associated with this chakra, such as anger and anxiety. This leads to a greater ability to recognise in a felt way who is trustworthy and who may not be. The heart chakra: this is emotional in its nature. Here we learn how to give and receive love, to have empathy, compassion and respect. It is also where we experience grief, jealousy, hatred and loss of trust. We can mend a broken heart and regain trust in others by learning to love and accept ourselves, and to know that we all deserve to love and be loved. Developmentally we are growing into puberty & early adolescence and learning to develop integrity and conscience. The throat chakra: here we are dealing with issues of communication and language – can we trust ourselves and others sufficiently to speak our truth? Do we have the confidence to express ourselves creatively? There are many ways we can help ourselves develop trust to express ourselves effectively such as writing, singing, learning communication skills, and becoming more aware of how we talk to ourselves on the inside. Developmentally we are finding ourselves within the wider society, making career choices and so on. The brow chakra: here we are focussed on the mind – is it our master or servant? Can we trust our thoughts? Are our beliefs serving us? As we grow into adulthood we need to ask ourselves how well do we think? Can we trust our intuition as well as our ability to discern different kinds of information? This Chakra can be helped through working with dreams and creative visualisations, as well as with learning how to balance the intuitive and analytical parts of the brain. The crown chakra: located at the top of the head, here we ask ourselves just how strong & healthy is our spiritual connection and can we trust it enough to rely on it as a source of spiritual support and wisdom? To help ourselves here we may need to re-examine our belief systems and be open to connecting with a higher power. The wise adult knows that he or she is both very human and connected to the divine at the same time. The great thing about Chakra Psychology is that we have a way into healing ourselves on all levels – the physical body, the emotions, thoughts, and the spiritual and cosmic. Ideas and understanding are growing all the time as we learn more about the neurological functioning of the human brain, quantum physics, metaphysics, and the bodymind relationship. © Delcia McNeil BA(hons), CQSW, ITEC, DipTH, UKCP is a registered psychotherapist (United Kingdom Council for Psychotherapy) and a registered subtle energy healer (Association for Therapeutic Healers). She is a group facilitator & therapist, teacher, channel and published author. Delcia runs Chakra Psychology courses (validated by the Association for Therapeutic Healers) for meditators, bodywork therapists, healers, counsellors, Alexander Technique teachers, psychotherapists, yoga teachers, and all those on a spiritual, personal growth path. 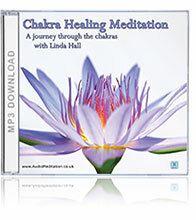 www.ChakraPsychology.co.uk – Resources and courses to help you discover more about Chakras – their system and healing power. A powerful and beautiful meditation to awaken and balance your seven Major chakras.